Ginger Snaps. 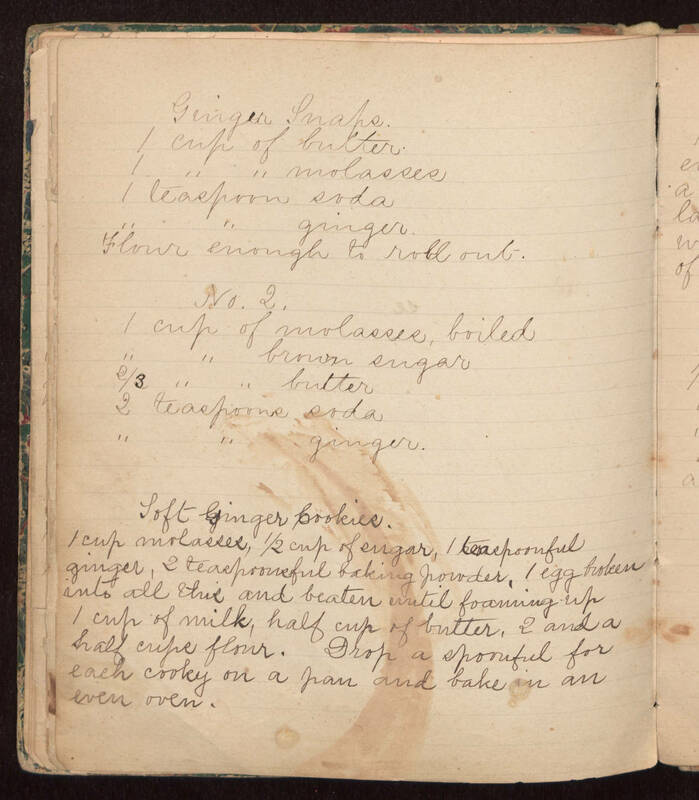 1 cup of butter 1 " " of molasses 1 teaspoon soda " " ginger Flour enough to roll out No. 2. 1 cup of molasses, boiled " " brown sugar 2/3 " " butter 2 teaspoons soda " " ginger. Soft Ginger Cookies. 1 cup molasses, 1/2 cup of sugar, 1 teaspoonful ginger, 2 teaspoonsful baking powder, 1 egg broken into all this and beaten until foaming up 1 cup of milk, half cup of butter, 2 and a half cups flour. Drop a spoonful for each cooky on a pan and bake in an even oven.